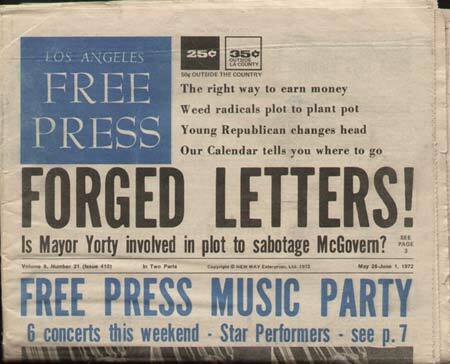 LA Free Press underground newspaper. May 26-June 1, 1972. Vol #9, No #21 Issue #410. Contains politics, art, music, hippie culture concert ads, classifieds, and more. Issue is complete - no missing pages or ads. Minor fraying.